There are a couple of different ways to make almond flour. No matter which way I make almond flour, I always soak my almonds beforehand. When I come home from the shops I immediately take my almonds and place them in a bowl of filtered water to soak overnight. If I am not using the soaked almonds immediately I dehydrate them for 24 hours until well dried and store them in an airtight container. So why soak nuts? Here is an blurb I put together for my Raw Food Course – it explains why! In nature, seeds, grains and nuts survive until proper growing conditions are present. Nuts, grains and seeds contain nutritional inhibitors and toxic substances, these are enzyme inhibitors and are called phyates (phytic acid), polyphenols (tannins) and goitrogens. These inhibitors and toxic substances can be minimised or eliminated by soaking. This process releases the enzyme inhibitor naturally present within the nut, activating it to make the nutrients more readily available for digestion. Soaking time varies according to the nut, grain or seed. A good guide is to soak until the grain, nut or seed is almost sprouting. Rinse well before use. If not using immediately, dehydrate well until dry. Method 1 – Using up the left overs! When I make my Almond Milk I have left over almond meal which I place in a bag or container and freeze until I am ready to use it. When I want to use it – I defrost it on the bench for a few hours. If using in cookie recipes I place directly into the cookie mixture. 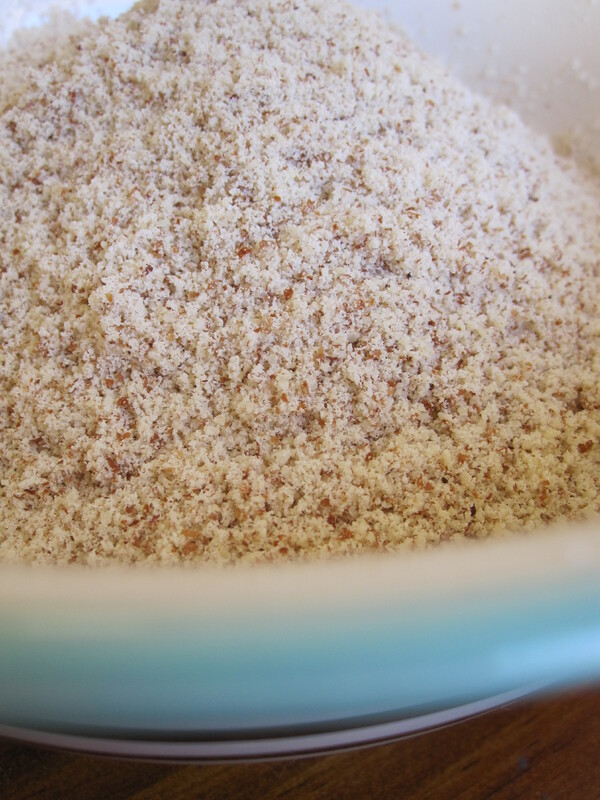 If I am going to make almond flour I dehydrate the almond meal overnight and when dry I place in the food processor and process until finely ground. See pics below. I find that if I am using almond flour prepared this way I may need to add some extra oil to the recipe, not always, just depends on the recipe so always taste test your food for consistency and flavour. 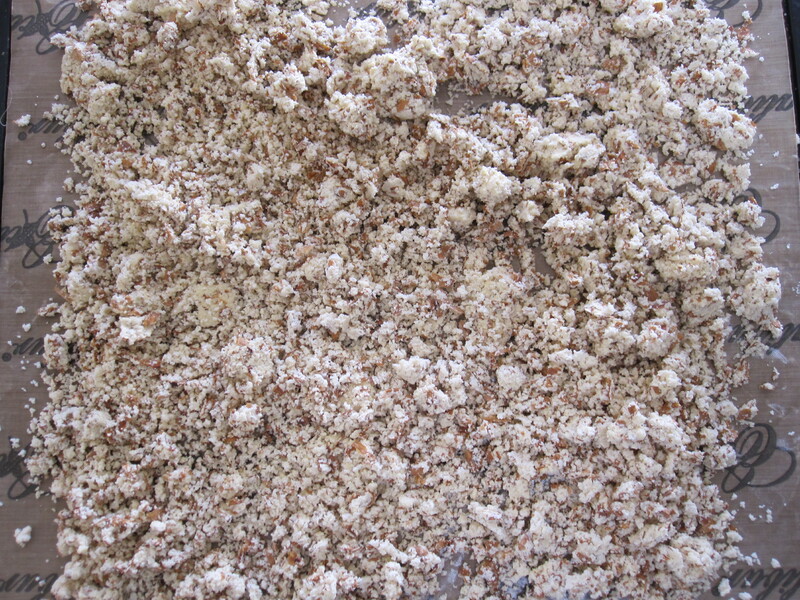 The other way to make almond flour is to process the nuts directly. If you are using a fairly low powered food processor you can easily process the nuts into a powder. If you are using a high powered machine like a Thermomix you will need to be careful when processing the nuts so as to not turn them into Almond Butter. Which ever way suits you – almond flour is a great thing to have in the kitchen to add into both sweet and savoury recipes. I have some Falafels in the dehydrator now which I made from almond flour using method 1. Remember that almond flour can also be used in non-raw cooking – great in macaroons and a variety of delicious cakes. Almond meal and almond flour are easy to make and if you do make it yourself you will save yourself a lot of money. Almond meal from the shops can be expensive!